Joe has been a part of the Inside Edge team since 2003. For the past 15 years, he has been coaching skill development sessions locally in the Lower Mainland. He has instructed every level from H1 to Peewee AAA in Spring Hockey. Joe has extensive hockey and coaching expertise, including a degree in Psychology from Simon Fraser University. He played Junior A hockey for the Kimberley Dynamiters of RMJHL, and he has played at the professional level for the Knoxville Speed of the UHL. As someone who began playing at 14 years old, Joe understands the unique challenges of starting the sport late, as well as the importance of dedication to practice and training. However, he didn’t let his late start stop him from progressing rapidly through the levels, from Bantam house, to Junior B, to Junior A, to College, and then a brief time in pro hockey. With determination and focus, Joe believes success is within everyone’s reach. 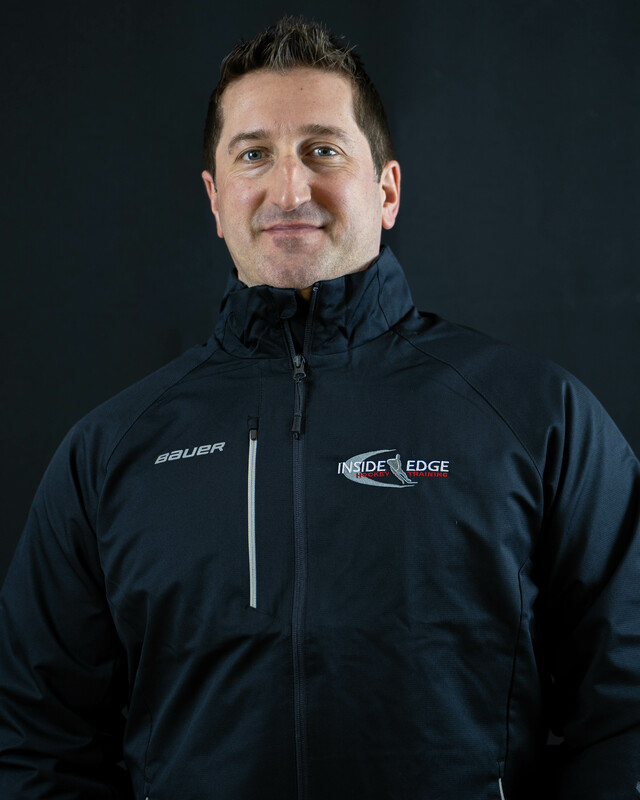 At Inside Edge, Joe utilizes his experienced insight to help your child determine which hockey paths are the best routes to take and what specific training is needed to get them there.